Experience bigger pictures with more vivid colors than ever before with the InFocus Work Big IN37. 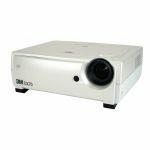 This formidable projector features 3000 lumens and is the first of its kind to be armed with BrilliantColor™ technology as well as onboard resolution which scales-up to UXGA (1600x1200). 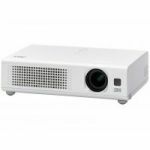 If you’re in need of a projector with the power to outshine ambient light, and the finely-tuned nature to accurately display vivid colors, the IN37 is an ideal choice. The Work Big IN37 features an XGA (1024 x 768) DLP® chipset which hosts BrilliantColor™ technology. 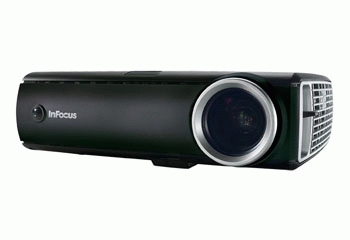 Finely tuned by InFocus, the BrilliantColor™ enhancement affords true-to-life color reproduction with unrivaled accuracy, and unlike LCD projectors which use only 3 hues, the IN37 makes use of 5 separate colors which heightens midrange clarity and brightness. You’ll notice the BrilliantColor™ advantage most while viewing vivid photos and video, renderings or creative work, especially in true yellows, skin-tones and, deep reds and blues. Heightened contrast will make shared documents pop from the screen so your audience will be forever free of squinting. The IN37 showcases 3000 lumens and thanks to the millions of DLP mirrors you can leave it on all-day without any adverse effects. 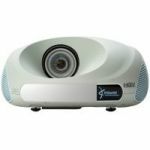 This 24x7 operation standard makes your projector operation completely worry-free, no matter how frequently, or for how long you use InFocus products. Plus, with both horizontal and vertical keystone control the IN37 will make a perfectly square (or rectangular) image no matter how difficult your install or tabletop situation. Hosting M1-DA and VGA digital inputs, along with Composite and S-video analog connectivity the IN37 will connect to anything and everything (including HDMI or Component Video through an M1-DA adaptor). 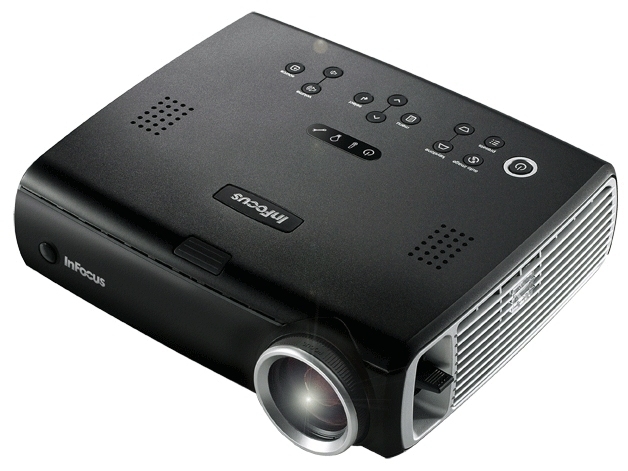 The IN37 is wireless-ready and pairs with ease to the InFocus LiteShow II wireless adaptor for 100% cable-free projection. Also, with the integrated 3.0W speaker system you won’t need external audio. Additionally RS-232 control allows for wall-switch or touch-panel control for more integrated system solutions while the onboard Kensington® lock keeps your InFocus projector locked down.